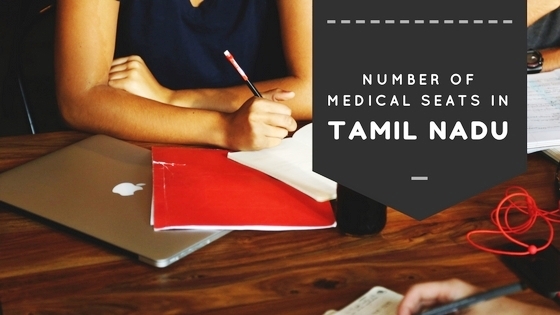 We noted in our previous article, Total number of medical seats in India, that Tamil Nadu has the third highest number of medical seats in India. We also noted that Tamil Nadu has 23 government medical colleges, the most in India. Though Medical Council of India (MCI) shows 23 government medical colleges in its list, Tamil Nadu shows only 21 government medical colleges. Why is there a discrepancy between MCI and Tamil Nadu state records? Two medical colleges, IRT Perundurai Medical College and ESIC Medical College, Chennai are considered as government medical colleges by MCI. However, Tamil Nadu state government does not treat them as government medical colleges. So, these two colleges do not contribute to the 15% All India Quota. The following is the list of 21 government medical colleges in Tamil Nadu. Overall, they have 2750 MBBS seats. Out of these, 2318 seats come under the 85% state quota. Admission to these 2318 seats was already completed during the first counselling held by the state in the month of June 2016. We have taken utmost care to ensure the information is correct to the best of our knowledge. These information are as collected and consolidated from the web sites of Health & Family Welfare Department, Government of Tamil Nadu and Medical Council of India. We recommend you to use the above information as a guide only. For the latest and current information, please refer to the appropriate Authorities. Devastating the future of many youngsters, curse the decision makers to end up with 02 allotment. kindly do natural justice to our children. I am not sure what do you mean by 02 allotment. 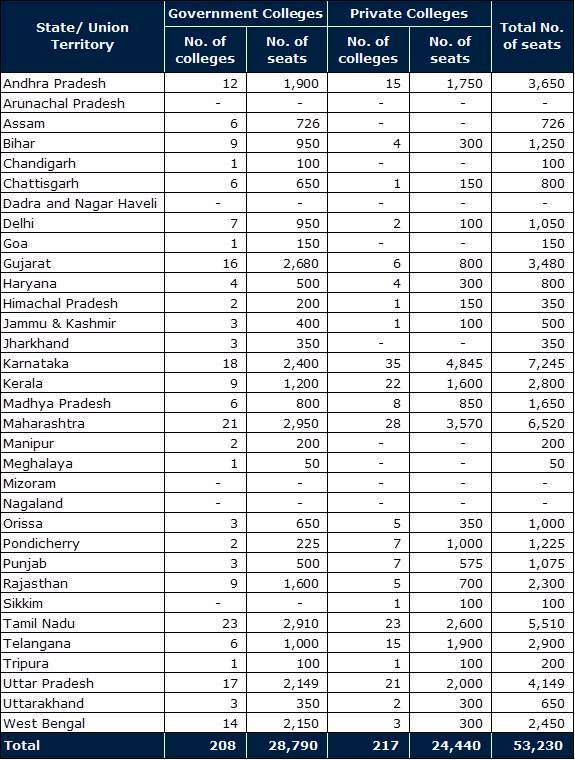 If you mean to indicate state quota and all India quota, this is nothing new. This is the practice followed all along. Its a way of bringing some diversity to the student community. It is also an opportunity for non-state board students from Tamil Nadu to seek admission in medical colleges (please note that Tamil Nadu has a normalization process that favours the state board students heavily in the state quota seats). May I know, how much marks is required in NEET to get medical seat in government medical colleges?? It was about 510+ marks for 15% All India Quota in 2016. For 85% state quota, this is the first time Tamil Nadu is using NEET scores for admission. So, it is difficult to predict. However, I believe a score in the range of 400-450 should be safe. You can get a seat in deemed universities, if you can afford the fees. You may have to wait until latter rounds of counselling. i am expecting 320 marks and i am bc.can i get mbbs seat.. Yes, sure. You can get an MBBS seat at this mark in NEET 2017. For 85% state quota, this is the first time Tamil Nadu is using NEET scores for admission. So, it is difficult to predict. However, I believe you should be able to get a seat in private college under merit quota. Which state are you from? I am assuming you are from Tamil Nadu. It may be tough. But, you should be able to obtain a seat in a private college under merit quota. Wish you all the best. Iam expecting marks around 170-180 under the category BC from tamilnadu in NEET exam any possibility for seats? You don't have any chances for government seat or merit quota in private colleges. But, if you can afford the fees, you should be able to secure a seat in deemed universities. There will be a separate cut-off for All India Quota. In 2016, it was 468 marks for general category. The number of candidates shortlisted for AIQ is equal to five times the number of AIQ seats available. Generally, candidates within the top 15000 ranks will qualify for AIQ. 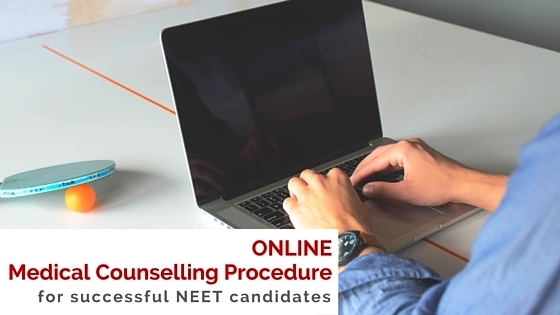 For state counselling, you are eligible as long as you qualify in NEET exam. AIQ counselling will be held first followed by state counselling. Last year, the first round of AIQ counselling was followed immediately by state counselling first round. Once state's first counselling completed, second counselling for AIQ was held. AIQ and state counselling was held alternately in states which used NEET for admission last year. The procedure for this year might be more or less the same. Yes, you can participate in both AIQ and state counselling. I am expecting to to get NEET 2017 will be 240+, i am BC in TN. Can i get Private merit quota. How much seat for merit quota in private colleges. I think it would be tough for you to get merit quota in private colleges. However, since Tamil Nadu is using NEET for the first time, we have to wait and see. Generally, 65% of the seats in private colleges are allocated to state government to be filled as merit quota seats. sir,can you give the number of candidates qualified in neet from tamilnadu out of 4 lakhs student last year.last year out of 7 lakhs ,4 lakhs students got qualified but how many of them are from tamilnadu.and also i think last year first mark from tamilnadu is around 615 by akash kumar(may be some other name) ,but what about second ,third marks from tn.i try a lot to find details about this but i couldn't i hope you can help me with this,where can i find last year mark range or atleast the marks of first 10 from tn. Sorry, I do not have any such data for Tamil Nadu. There was no official data either released by MCI or by the State Director. Akshaya Kumar from Chennai, scored 615 marks. I am not sure whether he was the topper in Tamil Nadu, but probably he may be. I do not know where you got this information from. That is not correct. I am not sure about the 2nd rank. But, certainly there were candidates with marks more than 505. In 2016, 41% has qualified in NEET. That is really good news. Many toppers from Tamil Nadu might not even have appeared for NEET last year. Those who appeared may probably from non-state board students and students aiming at private medical colleges and deemed universities. Let us wait and see how our students have performed this year. Difficult to predict without any past data. I believe you should be able to get a seat, no doubt about that. Let us hope that you get a seat in private colleges within merit quota. Tamil Nadu will follow the same reservation policy as previous years for state quota seats (like BC, BCM, MBC, SC, SCA, ST). No change in reservation policy. For All India Quota, the central reservation policy applies. It includes only OBC, SC & ST.
Sir pls do reply for my previous comments..regarding top ten in tn last year..
sir i will get around 230 whether i will get medical seat in tn govt or private college with less fee? With that marks, it is difficult to get a seat either in government medical college or private medical college under merit quota. But, you should be able to enter private medical colleges/ deemed universities under management quota. Sir I might get around 260 and i'm a SC candidate.is it possible for me to get mbbs seat In state quota ( in merit ). dear sir,i am from kerala.i scored 383 in neet2017.i am obc will i be able to get seat in pvt merit in tn.pls reply sir? Sorry, you are not eligible to get merit seat in Tamil Nadu private colleges. Merit seats are given only to Tamil Nadu students. But, you can get a seat in deemed universities or under management quota in private colleges. I am not sure what exactly you want to know. We do not know the cut-off marks at this point of time. You have a good chance, in my opinion. However, as this is the first time NEET exam is conducted in Tamil Nadu, we have to wait and see the performance of the students. Sir, by good chances, do you mean that I might have a chance to get govt seat ? Sir, by good chances, do I have a chance to get govt seat ?? The construction seems to be more or less complete. It is expected that Pudukkottai should get its medical college this year. However, the official sites are yet to show any status of Pudukkottai medical college. We have to wait in hope. Sir you didn't reply for mine sir .so pls reply for it sir (260 marks sc). Your cut-off mark is irrelevant. Only NEET score is important. At 208 marks, you should be able to qualify in NEET exam. You can get a seat in deemed universities (or) management quota seats in private colleges. You can hope for a seat in deemed universities. But, be ready to spend about 21 lacs per annum. Sir, I have got 387 in neet 2017. I'm MBC category. Can I get a seat in government medical college?? Please reply sir..
Let me clarify. I am making certain assumptions based on the feedback from NEET candidates. It may be right or wrong. In my opinion, it will be very difficult for you to get under merit quota in private medical colleges. The competition is more or less the same. Approximately, 3% of the total candidates secure a seat. Its more or less the same in both states. 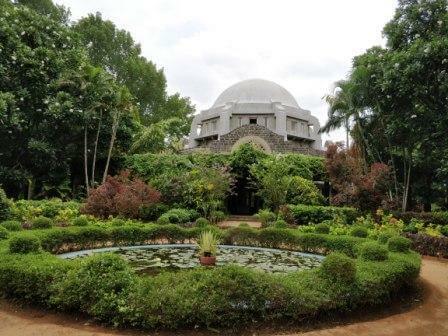 But, you have a clear advantage for JIPMER if you have Puducherry residence. Last year, the first ranked candidate from Puducherry had an all India rank of more than 1000. So, he had a clear edge over students from other states. Again, if you are looking at private colleges, Pondicherry has a better ratio of seats availability compared to candidates competing. So, as of now, it seems to me that Pondicherry residence is better than Tamil Nadu. It may change if more colleges open (like Pudukkottai & Karur in Tamil Nadu). Of course you can get a govt seat. sir,does all the the govt. colleges in tamilnadu has get filled its 15 percent quota seats last year or the some seats get reverted back.what is the minimum marks to participate in neet aiq councelling. No, 94 seats were reverted back to the state in 2016 after two rounds of All India Quota counselling. In 2016, the cut-off for AIQ counselling was 468 marks. sir, also what if a student had taken a seat from other states other than tamilnadu and if he take a seat from tn state quota the seats in aiq will get reverted to its state due to the 2 round councelling and this can affect someone.so doe it advisable to the aiq tn qualifiers to take whatever college may be it is top or tier 3 college from tn and if they want they can change from tier 3 to top in state quota by doing so lost of tn students may get some seats.i don't know how to type this but i just try i hope you understand and reply.i am searching all the way through the internet to get the detail of neet as i am a guy having 320 marks(bc) in neet i cant do anything with this as you know the pain of (may or may not you get a result) if i get very low marks or very high marks in neet i may be dejected or asssured of a seat respectively.ut this feeling of may or may not is just cant easily explained.when my parents ask me to study foraiims or jipmer i feel like nobody with a mark of 320 can pass those exams. I get what you mean. But, you cannot control how the top rankers behave. It depends where they want to study. The general trend in AIQ counselling is Tamil Nadu colleges are least preferred. So, don't worry too much about that. If Tamil Nadu top rankers prefer TN colleges, they will certainly get it. But, if they opt for MAMC in AIQ and MMC in state quota, then nobody can help it. They might occupy seats as you fear. But, these are all situations you cannot control. So, just relax and wait for the results and ranking. You have a good chance. You should be able to get either government medical college; or, at least merit quota in private medical colleges. Sorry Madhuritha. I don't think you have any chance of getting into a government medical college. 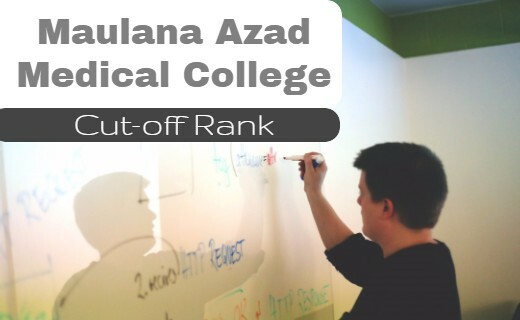 Even, the chances of getting into private medical colleges under merit quota is very low. You can expect to get a seat under management quota in private medical colleges or deemed universities. oh..that is disappointing..Can u approximately tell the amount i would be asked to pay per annum sir ? sorry and thank you . Don't be disappointed. Be hopeful. I am just giving you a forecast based on some estimation. For management quota in deemed universities, the annual fees vary from 15 lacs to 21 lacs. In private colleges, it may be slightly lesser. Tuition fee for private colleges under merit quota was around 2.5 lacs to 3 lacs per annum. Doubtful for government medical college. 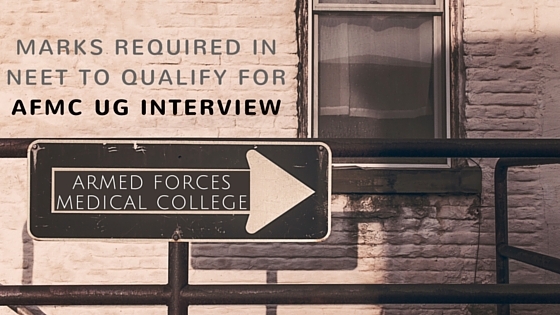 You may have chance for a seat under merit quota in private colleges. We may not know the status of the results until High Court gives its verdict on 7 June 2017. Yes, you can get an MBBS seat under management quota in private medical colleges or deemed universities. sir my marks in neet 2017 would be 350 , bc category what are my chances of getting admission in top private medical colleges in tamil nadu under 85% state quota?? yes u can get , dont lose hope. sir i have scored 320 marks in neet 2017 and sc candidate. am i eligible for govt seat in tn. Yes, you have a very good chance to get a seat in government medical college. THANKYOU SIR, YOUR REPLY APPEARS AS A BLESSING FOR ME. Sir I have scored 310 in NEET 2017.I belong to tamilnadu-bc category. Can I get MBBS seat in government college in 85% state quota????? Getting a government college is tough. You should be able to get a seat in private medical college/ deemed university. We do not know the qualifying marks for this year. But, going by last year, you should be able to qualify. In 2016, the qualifying marks was 145 and in 2013, it was only 98 marks. So, yes, you should be able to get a seat in private college/ deemed university in Tamil Nadu. But, you should be able to afford considerably higher fees. Sir am I able to get into the merit quota in the private or deemed universities. I belong to bc category. If I am not what would be the fee structure in management seats. Or else if I may luckily enter through the merit quota. What would be the fees structure. I may get 170_180.waiting for your reply at the earliest. No, I don't think you would be able to make it through merit quota. You can only get a seat under management quota. The fee structure may vary from 15 lacs to 21 lacs per year. The footnote is common. Some question papers may not have multiple/ wrong answers. If you see the first question paper in the answer key [APRA (English + Hindi), Q.P. Code-A], you can see that question 8 & question 18 is marked with 5. So, these two questions have multiple/ wrong answers. Sir my neet score will be around 300 belong to sc in TN can i get admission in gov. colleges? You have a good chance to get a seat in government medical college. MYSELF BELONGS TO MBC CATEGORY,RESIDENT OF TAMILNADU.MY NEET 2017 SCORE IS 300.ANY POSSIBILITIES FOR GOVT COLLEGES SEAT. Sir, I have a really important doubt regarding the Tamil version of the NEET question paper. How many of the questions were entirely different from the English version? And can you please tell me from where I can download the Tamil version? Its already stated in the official answer key published by CBSE. You can check those questions with answer response as "5". You will get bonus marks for those questions only. I think only two questions in the English/ Hindi version had been identified by CBSE to have wrong answer choices/ multiple correct answer choices. sir i will get around 360 marks in neet 2017....i belong to bc category...can i get any government medical college under 85% quota in tamil nadfu? Sir, you haven't replied to my question yesterday. Please do reply. by knowing how many questions are different what are you going to do? Sir, I'm an Reena from Tamilnadu I have got 144 marks in NEET.I'm an SC Candidate. Sir, I am sweety . I've got 335 marks. Shall I get a seat for MBBS in govt medical colleges in Tamil nadu? Si, I have got 175 marks in NEET . I belong to MBC quota. Will I get a seat for MBBS in govt medical college or Private medical colleges in Tamil nadu? My mark is 188. can I get the seat?? Sir, I have got 382 mark in NEET 2017. I belong to MBC Category (TN). Can I get a govt. seat in TN ?? Sir, I scored 272 in neet 2017 . I belong to bc. Will i get a seat in private medical college? Sir i secured 274 marks in neet 2017, i am obc candidate and i am from cbse board, is there any chance for government medical seat. And also i wish to know, what may be the fee per annum in private colleges if am given in merit quota. I scored 312 marks .And I am an OBC candidate.will I be able to get a seat in a government college in TamilNadu?? I got 185.i belong to mbc category.will i get govt aided seat in tn..?if nt suggest me some low fee prvt clg sir..! sir my neet score is 173.I belong to obc. Will i get a mbbs seat sir? I believe her All India Quota Rank is about 6000+. She may not be able to get in the first round of All India Quota. But, she should get a good college under state quota. sir i have got 274....i belong to BC muslim category....i am also a state board student....can i get a govt medical college....pls do reply sir!! Most of the medical colleges in Tamil Nadu come under Tamil Nadu Dr. M.G.R. Medical University. However, few colleges do not. These colleges are considered to be under deemed universities. Example: Sri Ramachandra University, SRM University, Saveetha University, Bharath University, etc. Yes, you should be getting a government seat in Tamil Nadu. Sir I belong to BC category.. My neet mark is 132...Should I have eligible to participate in TN counselling? I had applied for management quota....pls reply me sir!! The qualifying marks in NEET is 131 marks. So, you are eligible. Apply for management quota in private colleges. Also apply to deemed universities. manik sir,results are out my mark is 327 i am bc and i am stateboard also.can i get a govt or aided college seat.sir i am following you from starting i try to search you in fb also.pls pls pls pls reply sir..
sir my neet score is 431 and im a general cbse native of tamilnadu. will i get admission in a govt college here? My Neet score is 129 and I belong to the BC community .Are there chances for me to get a seat in management quota? Also I am a state board student. Very low chances of getting a seat. If you can afford very high fees, may be you can get a seat in some deemed university. Apply to deemed universities counselling by MCC. my mark is 327 i am bc and i am stateboard also.can i get a govt or aided college seat.sir i am following you from starting i try to search you in fb also.pls pls pls pls reply sir.. There are chances as it seems only 750 candidates have scored 400+ marks from Tamil Nadu. You can follow me on my facebook page facebook.com/justgetmbbs or twitter page twitter.com/justgetmbbs. The information is from an article in Times of India. I don't know how accurate is this report. We have to wait until the official merit list is released. My guess is about 150 CBSE students in the top 750 ranks. My guess is around 2000-2500 candidates in the range of 300-400 marks. My score in Neet 2017 is 261 from CBSE Stream in T N under 15% reservation quota and belongs to MBC/DNC catagory . Can I get Govt seat in TN Counselling ? Sorry, I dont think you can get a government seat. Can you pl be tell exactly how many seats are available for MBC/DNC Quota for CBSE Stream in TN Govt Colleges and Govt seats in Private Colleges ? Also seats available under Management Quota in Private Colleges for MBC/DNC Catagory ? May I know , whether the 85%( State Board )and 15% ( CBSE ) formula will be for Management Quota Seats in TN Counselling ? No, its proposed only for state quota seats in government colleges and private colleges. Neet 316 BCM.Will she can get govt.coll. If high fees is not a constraint, you will get a seat. 2. Yes, you will get a seat. There are 1500 seats under deemed universities in Tamil Nadu. The fees for deemed universities in Tamil Nadu varies from 18 lacs to 22.5 lacs. If you can afford that, no problem. 3. I am not sure about management quota in private colleges. Most likely, you should get it. 4. Yes, all admissions for MBBS/ BDS are based on merit only. But, since the fee structure of deemed universities are so high, most of the candidates cannot afford to join them. So, low ranked candidates who can afford higher fees will get seats. 5. No, there is no quota for state in Tamil Nadu for deemed universities. Thanks for finding out the error, its almost one year since I posted this article. ur frm state board r cbse? You have a good chance. Let us wait until the state merit list is released. Thanks Vanitha. Its already corrected. Please note that the information provided here is for 2016. The number of seats for 2017 may be slightly different. Sir I have got 380 marks in neet 2017. I belong to MBC category. Can I get a government seat in Tamil Nadu?? sir,when will the rank list get released..is high court put qny stay on it.if so on which date the court will hear the case. Yes, Madras High Court has issued a stay order. Until the stay order is lifted, rank list cannot be released. It is expected that HC may give it's verdict on 14 Jul 2017.